Here we are at the 3rd night of the Ring. And a favorite of mine. What'e your recommendation for this great opera? I'm a big fan of Pugg's recommendation, but I'll go with Barenboim cus Jerusalem > Jung as Ziggy + Bayreuth Jerusalem > Met Jerusalem + Tomlinson is the one DVD Wotan to rule them all = Barenboim. It's math yall! Howeva! Major shoutout to Heinz Zednik as Mime on both the Levine & Boulez. He kills it!! I've just finished Act 1 of the Met, Lepage, Siegfried. So far so good. Terfel is a very good Wanderer. The part seems to lie better for him than Wotan does. Gerhard Siegel is an excellent Mime. Well sung and well acted too. The biggest surprise and a pleasant one is Jay Hunter Morris as Siegfried. He is a little lightweight for Siegfried and lacks vocal heft but he has a nice lyrical tone when he's not forcing and he acts extremely well. The interplay between Wanderer and Mime in the riddle scene is very good as is the interplay between Mime and Siegfried in the forging scene. Hopefully the subsequent acts don't fall short. Try not to be an idiot all of your life. Take the occasional day off. Last edited by DarkAngel; Feb-01-2018 at 15:42. Post away DA. You won't spoil anything. I'm well aware of the Lepage ring and all its highlights and its shortcomings. 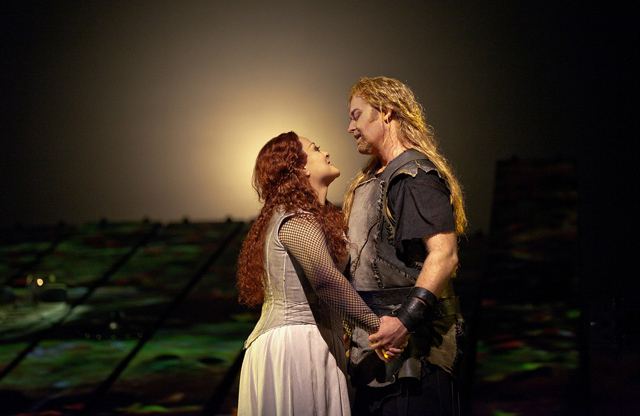 I seem to have very little time to watch all my opera DVDs so it's been about three years since I watched the Met Lepage Walküre and I decided I really should get on with the rest of the cycle. I watched the other Met cycle about fifteen years ago so as you can see watching is not a priority with me. Hopefully I'll get around to acts 2 & 3 in the not too distant future. Last edited by DarkAngel; Feb-03-2018 at 14:50. I can agree only in part. 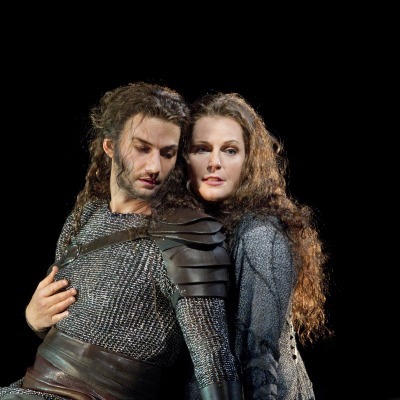 Kaufmann and Westbroek look and sound right for their roles (him more than her, I'd say). But their acting is a bit lackluster, in need of a stronger directorial hand from Lepage. Plus they're stuck in that knee-deep trough much of the time. So while I'm happy to have the recent Met Ring in my collection, the Chereau/Boulez Walküre, for all its 1980 technical limitations, remains my favorite. Last edited by amfortas; Feb-03-2018 at 15:17. The Barenboim version (from the early 90s) is my favorite. John Tomlinson's Wanderer is epic. I also love Anne Evans' Brunhilde. She virtually never descends into shrieking at me. I am not the first to say so, but I do believe that for DVD/Blu Ray, you can't beat Barenboim/Kuper in any of the four Dramas of "The Ring"
I am not the first to say so, but I do believe that for DVD/Blu Ray, you can't beat Barenboim/Kupfer in any of the four Dramas of "The Ring"
I like their Walküre in many respects. 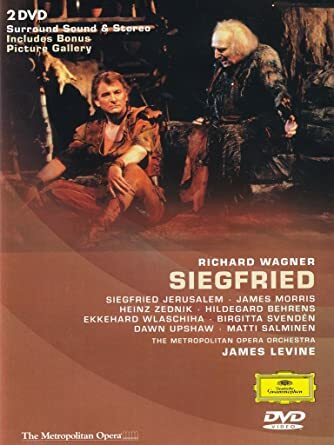 Set and costume designs for the Siegfried leave me cold. All times are GMT +1. The current date and time is Apr-25-2019 12:01.